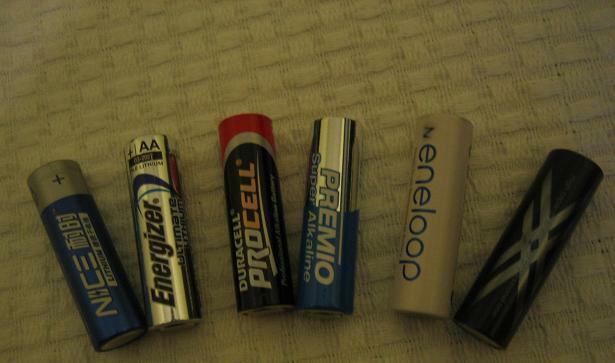 I hope this information will help someone choose AA batteries. 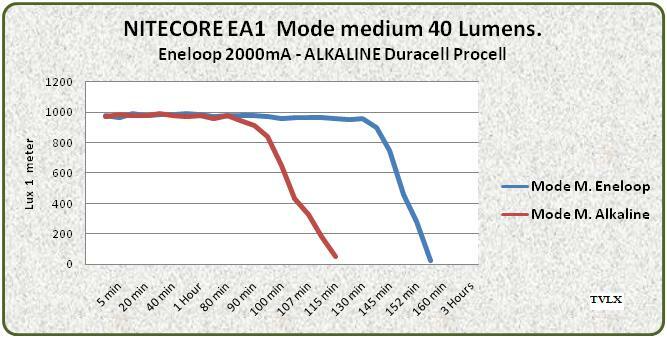 Alkaline: Premio (cheap alkaline) and Duracell Procell. 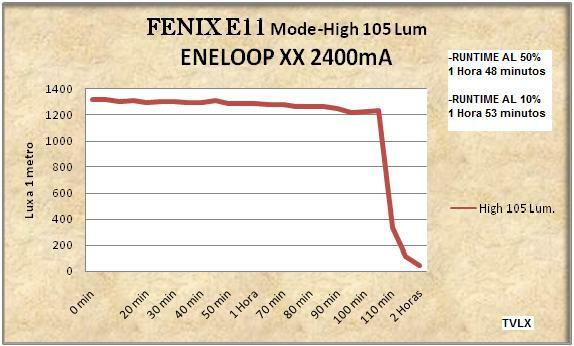 NiMh: Eneloop 1900 mA and Eneloop 2400 mA. Primary Lithium (1.8V): Energizer Lithium and NICE Lithium. I hope that this information will serve to help someone. Wow, the NICE on actually is fairly nice. Where did you get it from? Are these the NICE batteries ? Added to my cart, so they will be in my next order with Fasttech. I'll test them to provide some actual mah numbers. I still hope for a decent charger to measure capacity. I’m waiting for the arrival of a BC-700. Thanks for this review mate, I was waiting to see if the NICE cells were ok, and i guess so! WOW!!! 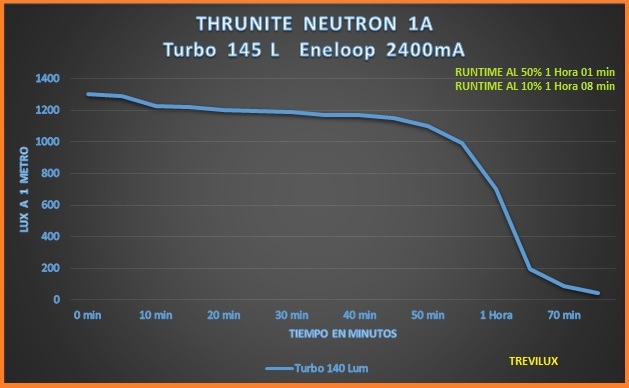 Thank for the test Trevi_lux… I will order the Nice lithium from FT right now! 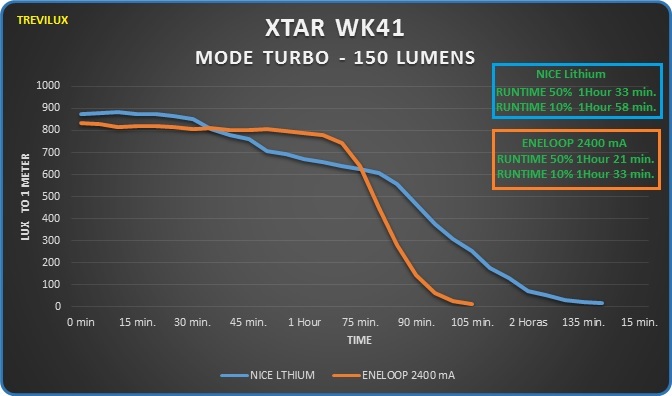 What is the no load voltage of the Nice cells before using them (when receiving them)? thanks for the test and efforts!! has a frikkin 2200mA constant current driver. 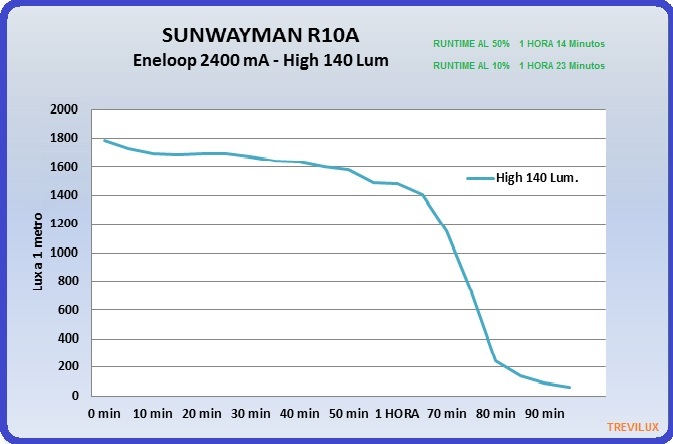 Typical runtime is 60min as expected from such a high current draw. 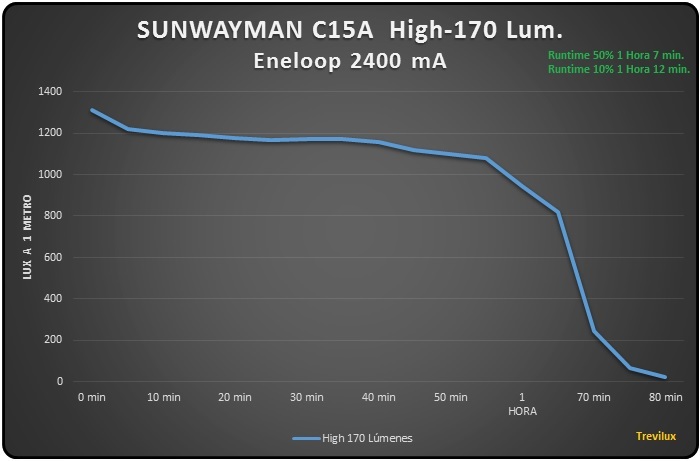 During the 60mins the light dims because voltage drops quasi-linearly. BA10 has acceptable regulation but for a premium flashlight brand i'd call this rather poor. 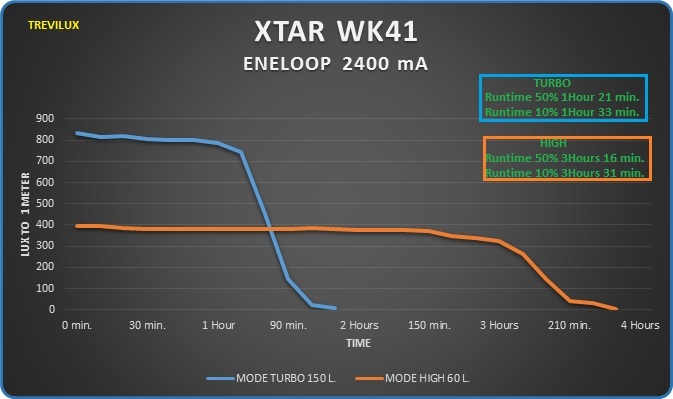 Anyone tested these Enelong ? I read comments at Taobao site, some said are good batteries. I might try a pack since I’m filling FastTech cart with one of these. Wow! Impressive! Thanks for testing and posting! Gonna have to pick me up some Nice batteries! +1. Thanks for the review. I've been eyeing the NICE cells since FT listed them and been waiting for someone to review. I got 2 packs and I just tested 4 batteries, two from each pack. 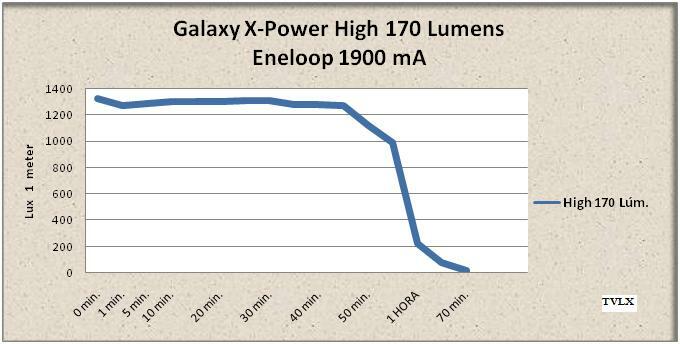 So it’s basically 1900Mah at 1A for all of them, and very little variance. They pretty much perform like the last Eneloops I got. Not sure about how they retain charge in the long term, but the “out of the box” values are really promising imho. So it’s basically 1900Mah at 1A for all of them………. are really promising imho. Wow, they sure looks promising & very impressive balance capacities out from a random blister pack. For the price, its hard to beat but yea, don’t know in long term usage/storage. 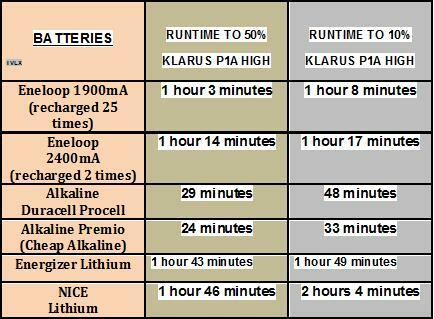 *+What’s the Charger +*for Primary Lithium (1.8V): Energizer Lithium and NICE Lithium? 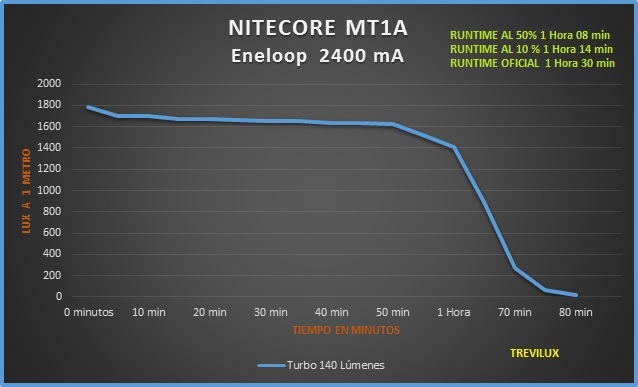 Nitecore i4 can work or not ? AFAIK Primary Lithium are not rechargeable. 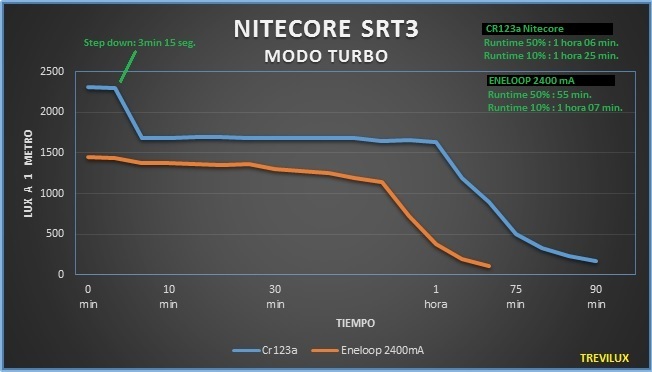 Nitecore i4 can charge rechargeable Li-ion & Ni-MH batteries. 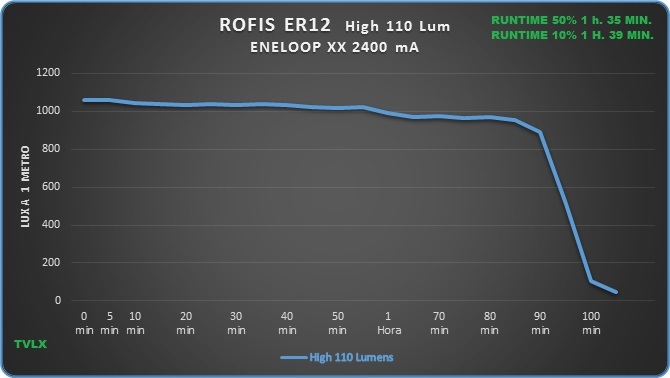 I added some runtime curve AA flashlights. 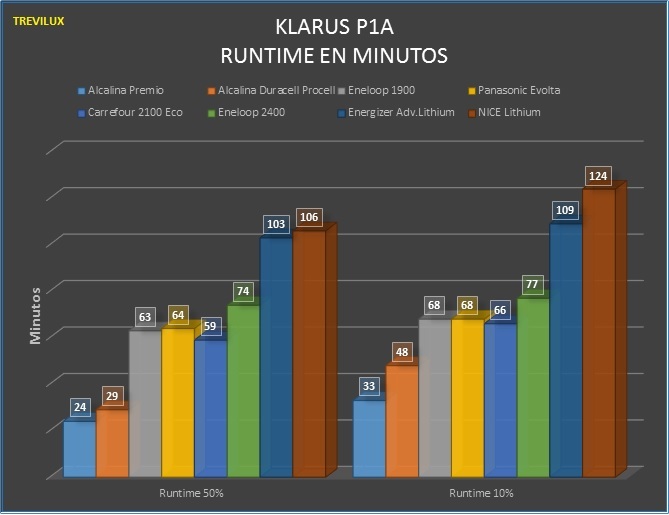 I just got the Klarus P1A. Will it make a difference if I use the Energizer Ultimate Lithium as opposed to the Energizer Advanced Lithium which you used in your test? 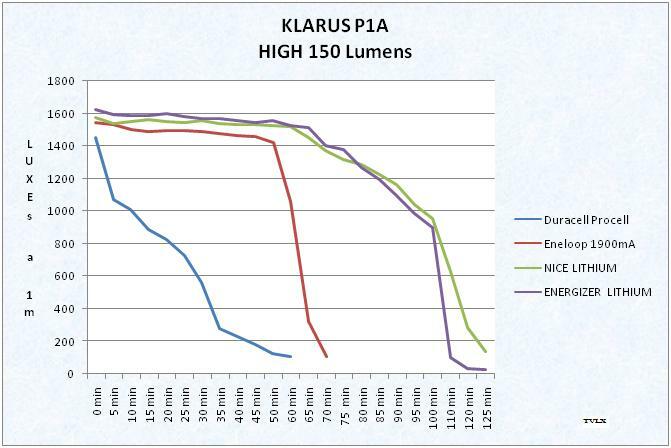 The Klarus is going to be used in an emergency kit. Thanks. Sorry beahaven , there are a mistake in one of the graphic, I said Energizer adv. Lithium, but as you can see in the first pic of this review, the energizer that I’ve used for test was Energizer Ultimate lithium. Thanks for putting that old thread back up, it is a very interesting test! How about shelf life for the NICE cells — anyone seen anything on how long they last? And, do they keep a decent output when down around freezing temperature? 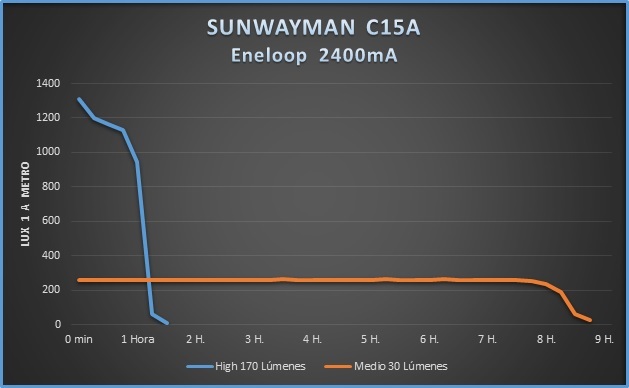 Those two features of the Energizer Lithium AA and AAA cells have made a big difference for me over the years, for emergency kits and winter camping use. 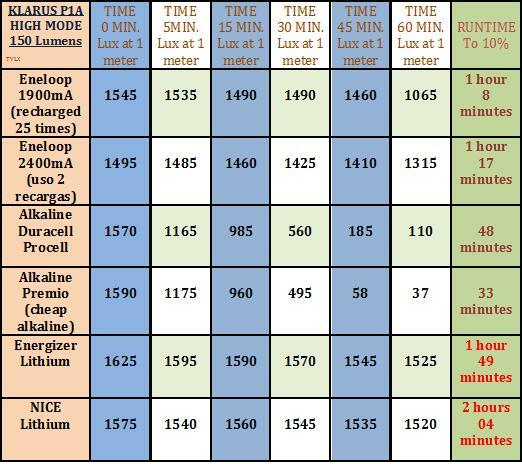 I note that Fasttech lists the NICE lithium primaries as having the same shipping restrictions as lithium Ion batteries making them a long wait to receive. For those in the USA Battery Junction has Powerizer Lithium Iron batteries though not as good a buy and I have actually found Energizer Ultimates for less each on some sale offers. I am ordering this light for an elderly female relative and I want to make sure it works when needed. I intend to send the light along with a package of Energizer Ultimate Lithium Batteries. Disappointed at Battery Junction’s lack of knowledge. 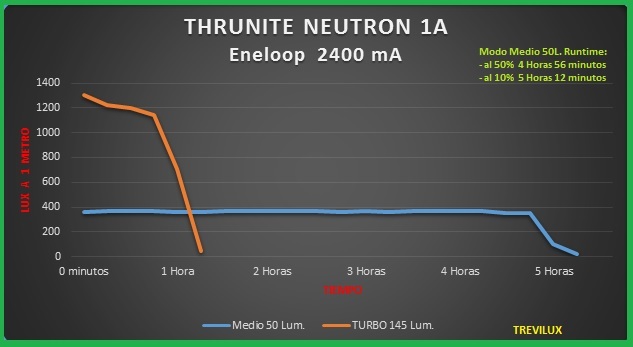 Some time ago I downloaded the technical documentation PDF s from Energizer for both batteries and the only real difference is that the Ultimate Lithiums are very slightly better maximum current drain and capacity than the Advanced Lithium batteries. Same chemistry and voltage output. I will buy the Energizer Ultimate Lithium Batteries. The latest packaging for the Ultimate Lithiums now claims 20 years so the link is out of date or has not been updated. I have some of the packs so marked. Per something I read recently some military tests show a shelf life potential closer to 35 years!